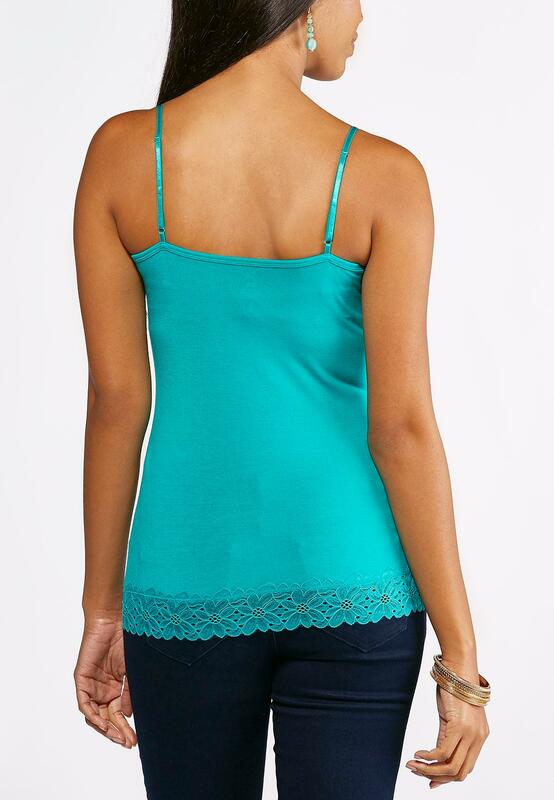 Introducing a must-have staple for your growing wardrobe - This lightweight cami features delicate floral lace trim for a sweet, feminine finish. Wear alone or under an open sweater or jacket for a variety of all-year round style options. I love these tanks, however they are not sized like cats other clothes. I usually wear an xs in Catos tops. I had to get a medium in this cami.